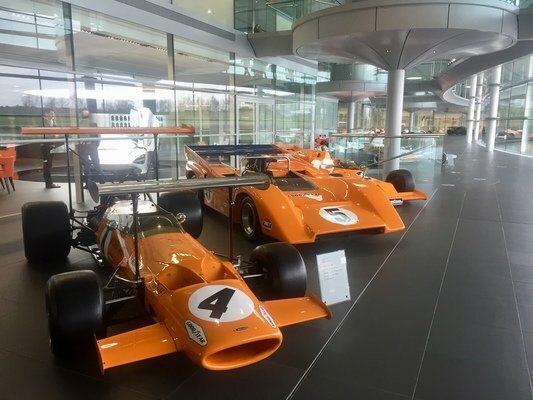 On Thursday 21st March, members of the Car Society had the opportunity to tour the prestigious McLaren Technology Centre, designed by Sir Norman Foster and home to McLaren's F1 road car and Applied Technologies efforts. On arrival, we were immediately greeted by the sight of some of the most successful and famous pieces of automotive engineering and design, all of which were in working order; ranging from Ayrton Senna's championship-winning McLaren F1 car to the Le Mans-winning F1 GTR. A highlight of our tour involved walking along a hallway lined with the trophies of McLaren's extensive racing success. Unlike most motorsport teams, McLaren chooses to house all the trophies won under its name at the factory and not with the drivers. Despite this being rather unpopular for obvious reasons, it did make for an awe-inspiring journey detailing the illustrious history of the racing team from Formula 1 in 1966 to its famous Le Mans victory in 1995. There's even an Indianapolis 500 trophy in the collection, making McLaren the only race team to have won the F1 Constructors Championship, Le Mans and the Indy 500 - famously known as the 'Triple Crown' of motorsport. Finally, we arrived at the McLaren factory floor, a breathtaking hive of activity, which was unfortunately a strictly no-photography zone, primarily due to the concept cars and designs that were on display. However, from our raised platform we could see at least fifty supercar and hypercar McLarens being produced, painted and tested, and crucially for McLaren, all by hand, separating them from their famous competitors such as Ferrari or Porsche. 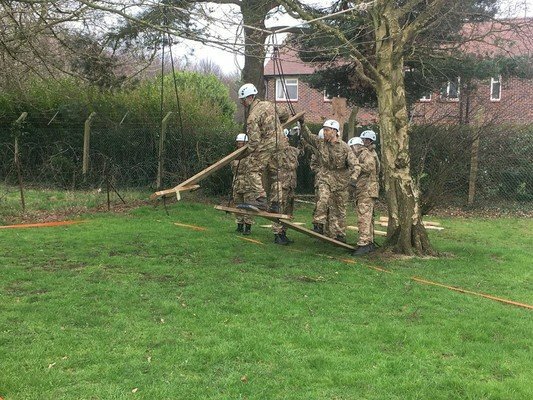 All in all, it was a fantastic experience for all those who could make it, offering the boys and dons a chance to marvel at some of the finest automotive engineering and design that England has to offer.